In its Weekly Report On Israeli Human Rights Violations in the Occupied Palestinian Territories for the week of 12- 18 December 2013, the Palestinian Center for Human Rights (PCHR) found that Israeli forces killed a Palestinian civilian and wounded 6 others in Jenin refugee camp in the north of the West Bank. A Palestinian civilian died of previous wounds in Bethlehem. 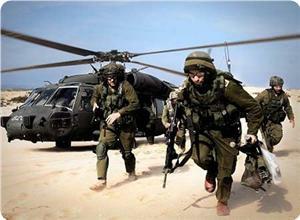 Israeli forces have continued to open fire at the border areas in the Gaza Strip. 3 Palestinian civilians, including a child, were wounded in the northern and southern Gaza Strip. On Wednesday evening, 18 December 2013, in an excessive use of lethal force, Israeli forces killed a Palestinian civilian and wounded 6 others in Jenin refugee camp in Jenin. According to investigations conducted by PCHR and statements of eyewitnesses, at approximately 20:30, Israeli undercover units sneaked into al-Saha area, in the centre of Jenin refugee camp, west of Jenin, using a minibus with a Palestinian registration plate and the slogan of the "Palestine Telecommunications Company" on it. The vehicle stopped in front of a house belonging to Jamal Abdul Salam Abu al-Haija, a prisoner in an Israeli jail. 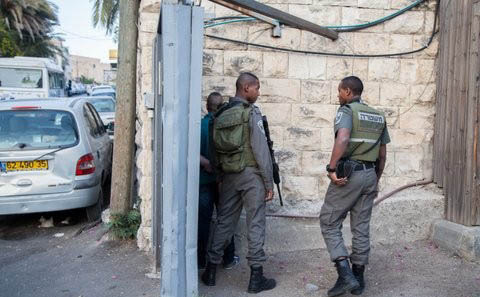 Members in the "Palestine Telecommunications Company" costume stepped out of the vehicle and opened fire at a group of Palestinian young men, who were standing in front of a cafe below the abovementioned house. As a result, Nafe' Jamil Nafe' al-Sa'di (23) was shot dead, while 6 others were wounded, 2 of whom sustained serious wounds. Moreover, Israeli forces abducted a wounded person whose wound has not been identified yet. It should be noted that Israeli forces planned to target Abu al-Haija's son namely Hamza (21), a member of Hamas movement, but he escaped the arrest or extra-judicial execution. Israeli forces then moved into Jenin refugee camp and topped some houses overlooking al-Saha area. They secured the withdrawal of the undercover units by firing sound bombs and tear gas canisters. In addition, they took the corpse of the killed Nafe' al-Sa'di and abducted the wounded Ali al-Sa'di. The Palestinian military liaison office received the corpse of al-Sa'di through al-Jalama crossing, north of Jenin, while Ali al-Sa'di has been in custody so far. In the same context, Medical sources at al-Maqased Charitable Hospital in East Jerusalem pronounced Mo'een Mohammed al-Atrash (28), from al-Dheisha refugee camp southwest of Bethlehem, dead of wounds he had sustained in 2004. During the past week, Israeli forces conducted 21 incursions into Palestinian communities in the West Bank. At least 12 Palestinians were abducted. As part of using military checkpoints and border crossings as traps to arrest Palestinian civilians under the pretext they are wanted, Israeli forces abducted at least 3 civilians in the West Bank. In the Gaza Strip, 3 Palestinian civilians, including a child and 2 farmers, were wounded. On 14 December 2013, a Palestinian civilian was wounded when Israeli forces stationed along the border fence opened fire at him while he was about 200 meters to the east of al-Najjar neighbourhood in Khuza'a village, east of Khan Yunis. On the same day, Israeli forces stationed on the northern borders between the Gaza Strip and Israel fired a number of artillery shells at open area, north of Um al-Nasser Bedouin village, and northwest of al-Nada housing project, but no casualties were reported. On 15 December 2013, a farmer from Ezbet Beit Hanoun was wounded when Israeli forces stationed along the border fence, northeast of Beit Lahia in the northern Gaza Strip, opened fire at a group of framers who were 500 meters away from the said fence. Farmer Ali Khaled Abu Ouda, Mohammed's brother-in-law, said that he has worked in harvesting and collecting vegetables for a week, while Mohammed has worked on this field for over a month. On Sunday, they headed to Abu Shammas land, northeast of Boret Abu Samra. They started work at 07:00 and the area was calm. Suddenly, they heard gunfire by Israeli soldiers stationed behind the border fence. A few moments later, Mohammed al-Shenbari was wounded by a bullet to the left leg, so he fell onto the ground and screamed out of severe pain. Some farmers ran towards him and found blood on his leg. They carried him and ran about 70 meters away. They then put him on a tractor belonging to a farmer and drove him to an ambulance of the Palestine Red Crescent Society (PRCS). The ambulance took the wounded person to Kamal Odwan Hospital to receive the necessary medical treatment. On 16 December 2013, another farmer, from Jabalia, was wounded when Israeli forces stationed along the border fence, east of Jabalia, in the northern Gaza Strip, opened fire at a group of farmers who were about 600 meters away from the said fence. On 17 and 18 December 2013, Israeli forces stationed in watchtowers, east of Beit Hanoun, in the northern Gaza Strip, opened fire at a number of farmers, shepherds and bird hunters in the east of Beit Hanoun. As a result, they all fled away fearing of being wounded. In the context of targeting fishermen in the sea, on 16 and 17 December 2013, Israeli forces stationed off al-Waha resort, northwest of Beit Lahia, opened sporadic fire at Palestinian fishing boats that were sailing about 3 nautical miles off the shore. However, neither casualties nor material damage were reported. Israel has continued to impose a total closure on the oPt and has isolated the Gaza Strip from the outside world. The illegal closure of the Gaza Strip, which has steadily tightened since June 2007 has had a disastrous impact on the humanitarian and economic situation in the Gaza Strip. The Israeli authorities impose measures to undermine the freedom of trade, including the basic needs for the Gaza Strip population and the agricultural and industrial products to be exported. For 7 consecutive years, Israel has tightened the land and naval closure to isolate the Gaza Strip from the West Bank, including occupied Jerusalem, and other countries around the world. This resulted in a grave violation of the economic, social and cultural rights and a deterioration of living conditions for 1.7 million people. The Israeli authorities has established Karm Abu Salem (Kerem Shaloum) as the sole crossing for imports and exports in order to exercise its control over the Gaza Strip’s economy that has been aggravating for years due to the shortage of imports. They also aim at imposing a complete ban on the Gaza Strip’s exports. On 17 December 2013, Israeli forces issued a decision to confiscate 10 dunums of land in Qasrah village, southeast of Nablus. These confiscated lands are in “al-Wa’ar” area, which has always been attacked by settlers from “Yish Kodish” settlement established on the aforementioned village’s lands. Local sources in Qasrah village said that ‘Abdel ‘Azim Wadi, head of the village council, was surprised on the aforementioned day morning with a call from the Israeli Liaison informing him about the decision. Wadi then contacted the Palestinian Liaison and Nablus as they confirmed receiving a copy of the decision. Ghassan Daghlas, a researcher in settlement affairs in the northern West Bank, said that the Israeli Liaison officially informed the Palestinian side that they confiscated 10 dunums of farmlands in the area between “Yish Kodish” outpost and the southern Qasrah lands. He added that Israeli forces informed the Palestinian side that Palestinians are denied access to the area and its surroundings, an area of approximately 500 dunums of agricultural lands, i.e. confiscating another 500 dunums later. Israeli forces continued the systematic use of excessive force against peaceful protests organised by Palestinian, Israeli and international activists against the construction of the annexation wall and settlement activities in the West. As a result, many protestors suffered tear gas inhalation and others sustained bruises as they were beaten up by Israeli soldiers. In spite of the bad weather, following the Friday Prayer, 13 December 2013, dozens of Palestinian civilians and international and Israeli human rights defenders organised a peaceful demonstration in Bil’in, west of Ramallah, in protest at the construction of the annexation wall and settlement activities, supporting the al-Aqsa mosque and the Islamic and Christian religious sites. Demonstrators took the streets raising the Palestinian flags and headed to the liberated territories near the annexation wall. Israeli forces had closed all the entrances of the village since morning to prevent the Palestinian and international activists and journalists from participating in the demonstration. Demonstrators marched adjacent to the cement wall and tried to cross the fence before Israeli forces that are stationed behind the wall, in the western area, and a large number of soldiers deployed along it fired live bullets, tear gas canisters, rubber-coated steel bullets, sound bombs and skunk water at them and chased them in olive fields. As a result, a number of civilians suffered tear gas inhalation and others sustained bruises as they were beaten up by Israeli soldiers. On the same day, dozens of Palestinian civilians organised a peaceful demonstration in the middle of Ni’lin village, west of Ramallah, in protest at the construction of the annexation wall and settlement activities. Demonstrators took the streets and headed to the annexation wall. Israeli forces closed the gates of the wall with barbwires and prevented the demonstrators from passing to the land behind it before they responded by throwing stones. 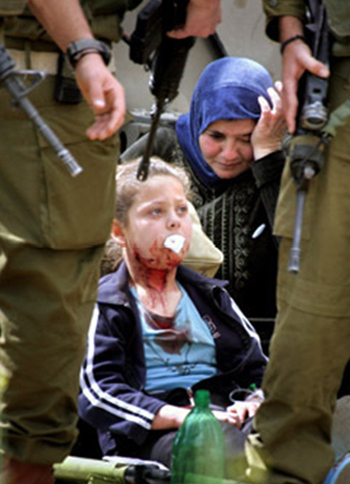 As a result, many civilians suffered tear gas inhalation and bruises as they were beaten up by Israeli soldiers. At approximately 12:30 on the same day, Palestinian civilians and international activists organised a peaceful demonstration in the centre of Kufor Qaddoum village, northwest of Qalqilia, and headed towards the eastern entrance of the village, in protest at the continued closure of the entrance with an iron gate, since the beginning of the Aqsa Intifada. Clashes erupted between the demonstrators and Israeli forces that fired sound bombs and tear gas canisters to prevent them from reaching the aforementioned gate. As a result, a number of civilians suffered tear gas inhalation. Due to the number and severity of Israeli human rights violations this week, the PCHR made several recommendations to the international community. 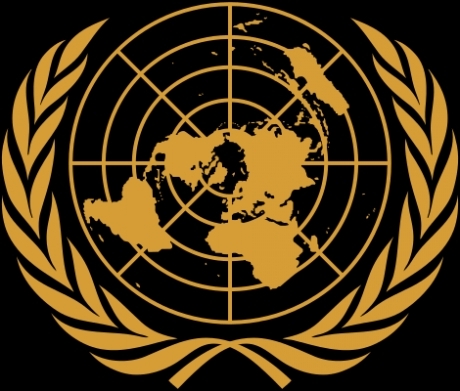 Among these were a recommendation that the international community and the United Nations use all available means to allow the Palestinian people to enjoy their right to self-determination, through the establishment of the Palestinian State, which was recognized by the UN General Assembly with a vast majority, using all international legal mechanisms, including sanctions to end the occupation of the State of Palestine. A month away from the end of 2013 witnessed troubling media freedoms violations committed by Palestinians in the West Bank and Gaza for the third month, where the Palestinian Center for Development and Media Freedoms (MADA) has monitored a series of arrests, verbal and physical abuse, which is a warning sign of a deterioration in the status of media freedoms. The Israeli Occupation Forces (IOF) also had its share in committing violations against journalists last November, by targeting journalists and preventing them from covering incidents, but most notable was the arrest of Mahmoud Abu Khdeir (Al Quds newspaper correspondent) for a whole month. And in regards of the IOF's Impunity, the Foreign Press Association (FPA) released a statement on 2nd December 2013, accusing the IOF of firing rubber bullets and sound grenades deliberately at journalists during November, the statement also stated that FPA submitted complaints to Israel regarding ten incidents in which journalists were attacked by the IOF during the last two years, and they were ignored, they also referred to Israel's poor record in investigating of this type of incidents. The Foreign Press Association feels the IOF statement regarding the Nov. 29 incident at the Qalandiya crossing to be misleading and unsatisfactory. During the incident, troops fired rubber bullets and threw stun grenades directly at a group of working journalists. The IOF's statement does not explain why troops fired rubber bullets at eye-level, rather than at the lower body, which in this incident could have resulted in a fatality. It also gives no answer or explanation as to why someone threw a stun grenade at the back of a group of photographers who had made clear to them that they were walking away from the scene. Once again, we urge the IOF to investigate the very real concerns that we raised. The photojournalists were clearly identified and there can be no excuses made for the way in which they were treated. By turning a blind eye to clear breaches of protocol, and repeatedly failing to properly investigate similar incidents in the past, we fear the IDF is creating a culture of impunity within its ranks that only serves to perpetuate an already dangerous situation. The FPA statement coincided with the end of MADA's campaign "International Day to End Impunity", under the theme "Yes to holding freedom for expression offenders accountable". In Selfit on the 1st November 2013, Majdi Taha the manager of Sawt Alghad Radio station was arrested by the Palestinian detectives' for writing a report about a missing girl near the village of Bedya north of West Bank. And in Bethlehem, on Sunday the 10th November 2013, journalist George Canawati, the manager of Radio Bethlehem 2000 was arrested from his home, on the background of his weekly radio show "Amar ya Bald". In Gaza, on Monday 11th November 2013, the French Agency Cameraman Yahya Hasouna was detained by the Internal Security while preparing a report on the 9th memorial of the Late Palestinian president Yasser Arafat. Where on Sunday 24th November 2013, members of the intelligence service's of the presidential guards detained the crew of Watan TV; reporter Ibrahim Ankawi (26 years old) and photographer Nael Rajoub (33 years old), while they were preparing a report on the false companies, near the Moqata'a (presidential headquarters) in Ramallah. In Tulkarem, On Wednesday 13th November 2013, Watan TV correspondent Sami Saai was summoned for investigation by the Preventive Security. And in Gaza on the same day, a group of armed men broke into the home of Al Arabyia TV cameraman and the manager of the broadcast Shabaan Mema, they stole his car and kidnapped him. The Israeli occupation forces arrested Mohamed Abu Khdeir the correspondent of Alquds Newspaper, during his return home from a trip via the Ben-Gurion Airport, on Wednesday 6th November 2013; he was released a month later. And on Friday 15th November 2013, the IOF targeted a group of journalists during their coverage of the weekly peaceful Balain protests. On Saturday 21st November 2013, Al-Quds TV crew (Mamdouh Hamamra - correspondent and Abd Algani Natsha - cameraman) were prevented by a group of Israeli soldiers from covering the Occupations bulldozing the lands of (Baten Al-Masi) an area south of Al-Khadir village near Bethlehem. The Palestinian Center for Development and Media Freedoms (MADA) condemns all violations against journalists in Palestine, and MADA expresses a grave concern from the violations by Palestinians, and demands the Palestinian officials to end the attacks against journalists and to respect the right to freedom of expression guaranteed Article 19 of the Palestinian Basic Law. 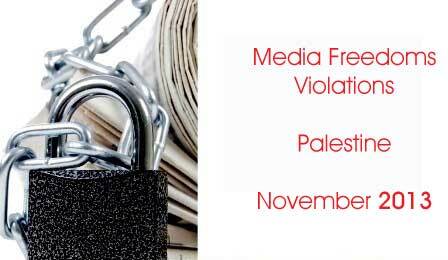 MADA calls upon the civil society to exercise effective pressure on the Israeli Occupation to stop the all violations against journalists, and to respect freedom of expression. According to a new report by the UN Office for the Coordination of Humanitarian Affairs (OCHA), at least 3608 Palestinians were injured in by Israeli forces this year. Furthermore the report states that at least 145 Palestinians were injured in 91 reported attacks by Jewish settlers World Bulletin writes. The depressing numbers continues and describe how there have also been 300 attacks by settlers, which targeted Palestinian-owned property and land. 10510 Palestinian olive trees were damaged by settlers which means a 25% increase in this type of attacks. It is explained in the report that violence by settlers in the West Bank includes physical assault on individuals, harassment, takeover of, and damage to private property, obstruction of access to agricultural land and water resources, along with attacks on livestock, agricultural land and places of worship. 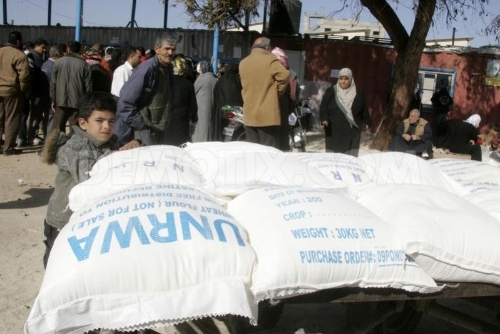 Nearly 1 million Gazans to need food aid in 2014 - U.N. Almost a million people are expected to need food aid in the Gaza Strip next year, a U.N. agency said on Wednesday as it appealed for $95 million from donors. About 813,000 Palestinian refugees currently receive food aid from the United Nations Relief and Works Agency (UNRWA), but the organization expects a 10-20 percent rise in demand in 2014, said Robert Turner, its Gaza director of operations. The main reason for the increase in the number of needy families was Egypt's closure in recent months of smuggling tunnels under its border into the enclave which has deprived thousands of people of jobs and halted construction projects, he said. The tunnels had provided a commercial lifeline for the Gaza Strip, after Israel had denied the people in Gaza basic life needs by imposing illegal siege on Gaza since June 2007. Turner said as a result of the projected increase in people needing aid, UNRWA would require more donations from countries. "Only for food next year, we are appealing for $95 million but that is all our entire expected income, so we need to do a lot of advocacy with the donors," Turner said. According to U.N. figures, at least 80 percent of the enclave's 1.8 million people are already classified as aid-dependent and unemployment is running at 30 percent. Gazan economist Maher al-Tabbaa' told Reuters he expected the coastal territory's unemployment rate for 2013 to rise to 38 percent. Wadi Hilweh Information Center- Silwan monitored the Israeli violations against Jerusalemites in the month of November which witnessed several arrests of minors, court order to self demolish apartments in addition to raiding Jerusalemite neighbourhoods. The Israeli violations against Al-Aqsa Mosque continued when the police isolated 27 citizens (men and women) from Al-Aqsa for various periods. The police arrested a number of Al-Aqsa students (Masateb) from inside Al-Aqsa courtyards and at its gates and handed them the isolation order just before the Jewish holiday “Hanukkah”. At the same time, the police surprisingly cancelled the order which banned extremist “Yehuda Galbek” from entering Al-Aqsa as the “Brigade Commander” of police in the city of Jerusalem, Yossi Barinti, called Yehuda Galbek and informed him that the order to ban him from entering Al-Aqsa was cancelled. Brigadier Avi Biton, commander of the old city in Jerusalem, promised Yehuda to protect him during his break-ins. Afterwards, extremist Yehuda Galbek along with a group of extremists broke-into and provided dozens of extremists with explanations about the “alleged temple”. The Information Center monitored the arrest of more than 75 Jerusalemites during the month of November including 40 children, 4 Jerusalemite women, an old man and Journalist Mohammad Abu Khdeir who is a reporter at Al-Quds newspaper. The ages of children who were arrested ranged between 10 and 17 years and the police issued a warrant of arrest against a 4-year old child from the neighbourhood of Al-Sa’dyeh. The forces raided the home of 4-year old Mohammad Zein Al-Majed in the early morning hours and refused to believe his father when he told them that his son was only four years old until he woke him up; note that they threatened the father to call his son for investigation in case they confirm he took part in injuring a settler. Arresting children occurred the most in the village of Esawyeh as the Israeli forces arrested a group and accused them of burning down the Israeli military camp in the village in addition to throwing stones at Israeli vehicles. Children were also arrested from the old city of Jerusalem, Shu’fat refugee camp and Silwan and most of the arrests were executed in the early morning hours after raiding the houses of the children while sleeping and arrest them without informing their parents the charges against their children or the reason of the arrest; note that the children were taken alone in the police cars and were transferred to the interrogation centers. The Information Center confirmed the illegality of arresting children –according to International and Israeli laws- as they were arrested in the early morning hours and without allowing any of their parents to accompany them in the police cars in addition to handcuffing them and terrifying and assaulting them during the arrest. During November, the families of Amira and Za’tara were forced to self demolish their homes in order to execute the order of the Jerusalem municipality and to avoid paying high financial fees. Citizen Samer Za’tara self-demolished his home in Oqbat Al-Saraya in the old city of Jerusalem last month which consists of two floors (three bedrooms and a bathroom) and was built as an addition to an old family’s building 18 years ago. Za’tara lived in the house along with his wife and six children (oldest is 16 and youngest is one) noting that the municipality gave him until the beginning of next February to execute the demolition order. 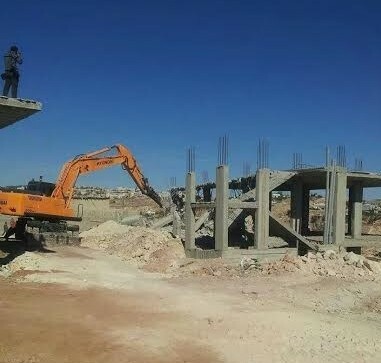 Mohammad and Nidal Amira demolished three residential apartments in the area of “Der Al-Amood” in the village of Sur Baher south of Jerusalem that were still under construction. Mohammad was planning to live in one of the apartments with his family that consists of 5 individuals, while Nidal demolished a building that only has one 150-square meters apartment and he was also planning to live in with his family that consists of 7 individuals. The occupation municipality’s bulldozers demolished the residential caravans of Castero family in the town of Beit Hanina north of Jerusalem under the pretext of building without a permit. The family was forced to live in tents and caravans in order to save their land after the occupation forces demolished their residential building at the beginning of last February; note that 30 individuals from the Castero family were displaced one more time. Demolition orders were also distributed in the village of Esawyeh and the forces raided Shu’fat refugee camp and took pictures for buildings in the neighbourhood of Ras Khamees and Ras Shihadeh; note that a court in the Jerusalem municipality issued a temporary order that bans the demolition of 10 residential building in Ras Khamis near the refugee camp of Shu’fat. Settlers continued their assaults on Jerusalemites and their properties during the month of November and the Center monitored that assault on 40-year old Majdi Hirbawi as he got injured with wounds and bruises after several Jewish extremists attacked and assaulted him while passing by in one of the streets of West Jerusalem just for being an “Arab”. They also damaged several Arabian cars that were passing in the area in conjunction with a protest that was organized in the street of “Bar Elan”; note that the police was present nearby but did not intervene to prevent the assaults. Two settlers attacked 48-year old Adnan Mohammad Basileh “Abu Odai” on Tuesday morning near the Wailing Wall “Dung Gate route” which led to broken ribs in addition to a cut in one of the veins. The guards of the settlers in the neighbourhood of Al-Tur attacked the young men and locals and fired live bullets towards them for no reason. Last month, 14-year old Nour Mohammad Afaneh from the village of Abu Dis east of Jerusalem passed away after she arrived late at the hospital due to the closure of the “Container” checkpoint. She suffered a severe lung infection and needed to be transferred to the ICU in Bet Jala Hospital through the “container” checkpoint where there was heavy traffic from all entrances due to the closure of the checkpoint. The family tried to take their daughter to Ramallah Hospital but she passed away before getting to the hospital; note that she is a special needs child. Also, Jerusalemite young man Khalil Alami was injured with a live bullet in his chest that went through his lung during clashes that broke out in Ezaryeh. The Israeli forces suppressed last month a protest in Jerusalem against “Prawer Plan” in the Negev and assaulted the participants using sound bombs and water hoses; note that one young man was arrested. The Israeli forces also banned the memorial service that was going to take place on occasion of the 9th anniversary of the death of Martyr Yasser Arafat as ordered by the Minister of Internal Security “Ishaq Ahranovich”. The forces surrounded and evacuated the Club which led to the break out of clashes in the neighbourhood. Last month also witnessed the closure of the Jerusalem Foundation for Development in the neighbourhood of Beit Hanina and Salah Eddin Street in Jerusalem. They also broke into “Sana” press in Al-Zahra Street and confiscated computers in addition to raiding “Quality Net” in Ras Al-Amood. Esawyeh witnessed clashes on an almost daily basis after the forces raided the village and purposely fired sound bombs towards the houses and commercial stores. One bomb was fired towards a women’s hair salon and led to the injury of a woman with shrapnel of the bombs. The forces also arrested 53-year old Basel Mahmoud after assaulting and beating him with batons and sound bombs. They also raided several neighbourhoods and houses in Silwan and assaulted the young men and women. A commercial store that sells cell phones was raided and sound bombs were randomly fired towards houses and led to the injury of 15-year old Diana Mohammad Abu Tayeh with burns in her upper and lower limbs; note that she is diabetic. Her 16-year old Baha’ was injured with burns in his legs. The forces also broke the windows of houses and cars using the butts of their guns and fired bombs toward the women in the neighbourhood. The Center was informed that the forces fired a gas bomb inside a store that sells birds and that is owned by Maher Kash’am in the neighbourhood of Ein Al-Lozeh. Kash’am explained that the forces fired a gas bomb and a sound bomb inside his store which caused the electric wires to blow and led to the burning of the store. As a result, more than 10 birds died and several others were injured. The center also monitored the intent of “Keshet production company” to film a new drama series for American network NBC in coordination with the Jerusalem Municipality and Israeli Ministry of Economy in the settlement outpost “City of David” that is established at the entrance of Silwan south of Al-Aqsa Mosque. The six-episode series, entitled DIG, will revolve around the murder of an American archaeologist in Jerusalem (his life, work and investigation of the murder). The project was praised by both Jerusalem Mayor Nir Barakat and Economy Minister Naftali Bennett and considered it to be an achievement for the whole production industry in the area since Israel is rich in terms of historical monuments and places and being the first American series filmed in Israel. On the other hand, the Israeli Building and Planning District Committee ratified the “National Park” plan on the lands of Al-Tur and Esawyeh. It is noteworthy that the project of “National Park 11092 A” taking place in the heart of Al-Tur and Esawyeh will result in the confiscation of 740 Dunoms of locals’ lands. The Jerusalem municipality, Nature and Parks Authority and Jerusalem Development Authority submitted the project of “National Park” in July of 2009 and in December of 2009 the project was ratified after meeting the initial conditions. In January 2010, the Local Committee decided to expand the project to the North and North West and in April of 2010, the Israeli District Committee for organizing and building ratified the project with a total area of 740 Dunoms. Before ratifying, the Israeli Building and Planning District Committee which is part of the Israeli Ministry of Interior held a session to hear the objections submitted against the project and the session lasted from 1 p.m. until 9 p.m. and two hours after later, the committee ratified the project. The center points out that Minister of Israeli environment protection requested the head of Nature and Parks Authority on 02/10/2013 to stop the project because the area does not have any special natural value. On the 29th of October, the office of Israeli Prime Minister announced the intent of the Prime Minister and Minister of Interior to proceed with the implementation of the project. The Jerusalem municipality employees distributed flyers to several locals of the neighbourhood of Wadi Hilweh to initiate the implementation of “Kadam complex -City of David- the Old City” project in the courtyard of Dung Gate near the entrance of Silwan south Al-Aqsa Mosque. The project aims at establishing a tourism building which includes a parking around the Jerusalem Wall under the pretext of development and revealing an archeological site in addition to maintaining and developing it. The project will be established on a surface area of 16 thousand square meters. He Antiquities Authority confiscated a one-Dunom land owned by the family of Abu Rmeileh in the neigbourhood of Wadi Al-Rababeh and started digging right away. The locals confronted the Antiquities Authority several times but the Israeli forces provided them with protection and arrested several young men and assaulted them. The family is trying to get their land back through courts. Wadi Hilweh Information Center was informed that the occupation authorities handed young men Rami Barakeh and Amin Shweiki orders which ban them from entering the West Bank for 6 months, and handed Haitham Jo’beh and Khalil Ghazzawi orders to prevent them from travelling abroad for 6 months. A new report shows that more than 1,700,000 Israelis, including one-third of Israeli children, are living below the poverty line. According to the official data of Israel’s annual poverty report, published by the National Insurance Institute (NII) and the Central Bureau of Statistics (CBS) on Tuesday, 439,500 families and 817,200 children, or 33 percent of minors in the country, lived below the poverty line in 2012. The data show that the poverty rate among the elderly has risen more than three percent to almost 23 percent. The cost of living and changes in pensions have been cited as the reasons for the increase. Based on the report, 13.7 percent of working families lived below the poverty line in 2012, showing a nearly seven-percent increase in comparison with about a decade ago (1999). The report predicts that 64 percent of the poor will live in constant poverty, with the average gap between family income and the poverty line standing at 34.4 percent. Israeli occupation prime minister Benjamin Netanyahu’s ruling party has no plan for addressing the poverty problem, said Isaac Herzog, a senior opposition leader, adding that poverty poses a strategic threat to Israel. The leader of the Labor Party, Itzik Shmuli, also slammed the government for economic hardships in view of the report. “Occupation finance minister Yair Lapid scolds the poor to go and work but the statistics show that not only a majority of the poor are working people, but 25 percent of poor children go out and work,” Shmuli said. “The occupation government must set social targets in legislation to eradicate poverty and reduce inequality, we have had enough of empty declarations of importance to the government, when all the government does is tell people to go to work,” he added. Many Israelis have been migrating in recent months to Germany and the United States. 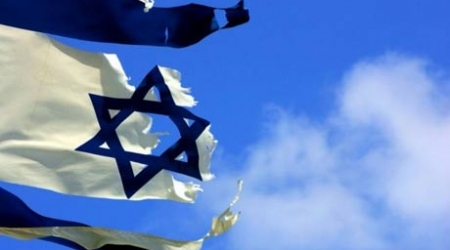 It is said that the Israelis are leaving Israel on economic grounds. High taxes and low salaries have had adverse effects on the lives of Israelis, specifically the middle class, in recent years. Discontented Israelis almost regularly take to the streets in Tel Aviv and other cities to protest against Tel Aviv’s economic plans and the painful austerity measures, which have raised taxes and cut welfare benefits. Alternative Information Center (AIC) - The winter storm that raged through the West Bank and Gaza Strip, from Thursday to Saturday, has left tens of thousands of Palestinian families without electricity. At least one death and some 100 injuries in the Gaza Strip have been attributed to the weather. Extensive loss of livestock has been reported, while an estimated 10-20 percent of greenhouses and agricultural fields in Gaza have sustained extensive damage. Linked, in PDF format, is the official UN/OCHA report, as of December 14. 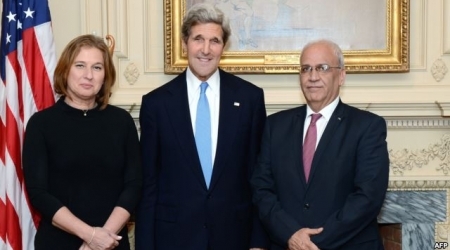 A new opinion poll reveals that the majority of Palestinians are against the so-called peace talks with the Israeli regime initiated by the United States, Press TV reported. The poll was conducted by Palestinian Center for Public Opinion and covered some 1,000 Palestinians from the occupied West Bank, east Jerusalem and Gaza Strip. It was carried out between November 27 and December 10 and its results were released on Monday. According to the survey, 56 percent of the Palestinians believe the current US-brokered talks with Israel have reached a dead end. The poll also indicates that most of the Palestinians do not see the negotiations lead to peace and expect a fresh confrontation with Tel Aviv. On November 13, the acting Palestinian Authority chief, Mahmoud Abbas, said his negotiators have resigned from the talks with Israel over Tel Aviv's ongoing settlement construction. Since the resumption of the negotiations, Israel has announced plans for building several thousands of new settler units in the occupied West Bank and east Jerusalem . In October, a large number of Palestinians from different political movements took to the streets of the West Bank city of Ramallah to call on the PA to pull out of the talks with Israel. They also demanded the PA to take Israel to the International Criminal Court for its crimes against the people of Palestine. More than half a million Israelis live in over 120 illegal settlements built since Israel’s occupation of the Palestinian territories of the West Bank and Jerusalem in 1967. The Palestinian Center for Public Opinion conducted a poll randomly surveying 1000 Palestinians from the West Bank, the Gaza Strip and East Jerusalem in the period between November 27 and December 10, regarding the current situation, and direct peace talks with Tel Aviv. The poll reached the conclusion that around 56% of the Palestinians believe that a fresh confrontation between Israel and the Palestinians is bound to happen. The poll also found 51.3% of the Palestinians expressed opposition to dialogue with the occupation, as they believe that the current direct talks between Israel and the Palestinians have reached a dead end, and there is no need to keep the dialogue going. According to the data collected in this poll, most Palestinians believe the talks will fail, and expect a third Palestinian Intifada. 57.7% of the polled said that talks will fail, and only 19% believe the current negotiations would lead to a solution. 53% of the surveyed said that the Israeli government of Benjamin Netanyahu does not have any genuine interest in successful peace talks with the Palestinians. 43.7% said they oppose the invitation of Netanyahu to president Mahmoud Abbas to address the Israeli Knesset. 67.5% are concerned about another potential military confrontation with Tel Aviv. 55.4% are pessimistic about the political process. 62.0% support holding new presidential and legislative elections in the Palestinian territories. Head of the PCPO, Dr. Nabil Kukali, expressed hope that direct talks would continue in a positive manner, leading to the creation of a Palestinian State living in peace next to Israel. “Let’s hope that fighting, wars and violent confrontations stay away and that the hands of the clock never move backward, but forward towards peace and amity among the peoples of the region”, he said.